Rockstar’s latest blockbuster gaming hit L.A. Noire is is game developed by Team Bondi and seeks to provide an authentic representation of 1947 Los Angeles. This is through the eyes of Cole Phelps, a newly returned “hero” of World War II, making his way from traffic cop and up through the ranks of detective for the L.A.P.D.. The game receives an authentic setting a feel from real 1940s aerial photography, a quality selection of licensed music (L.A. Noire Licensed Music List) and a beautiful score and original songs fitting the period (L.A. Noire Soundtrack List). Hidden throughout the game are 50 gold film reels featuring actual film titles from classic Hollywood yesteryear. These films are listed below. The Film Noir status of some of these is debatable. People have argued over the Noir qualities of Notorious for decades. Angels with Dirty Faces for example is more a gangster film than anything, though it is sometimes referred to as a proto-Noir film. 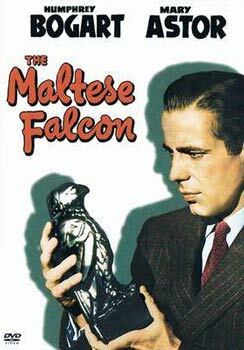 Many People point to the Maltese Falcon as the first A Film Noir, but Noir aficionados will point to 1940’s B-picture Stranger on the Third Floor as the first true Film Noir. The goal here is to review the 50 L.A. Noire gold film reels and perhaps some related films influenced by the genre. Complete films will be hyper-linked to their reviews. Films in italics are in process, in my possession or have been previously viewed (or someone else has agreed to review them). These are films in the Noir tradition. They are films directly in the Noir style, or so-called Neo-Noir. Blade Runner for example is cyberpunk in genre, which is heavily influenced by Noir characteristics. This is a big project obviously and any help is appreciated. If you wish to submit a review, please write a minimum of 300 words and break your review into sensible paragraphs (plot, actors, music, etc). Send them to JamesInDigital. They will be edited for grammar, spelling, optimization and images will be added where appropriate/possible. Reviewers will get an about the author paragraph and link back to your own page.